For a river--right at its source--there’s a sense of the essence; of the new beginning; the journey ahead, and the innocence of hope in the undertaking. When you’re standing downstream, in the middle part of the river's turbulent rapids, you get a sense of its majesty; its presence; the twists and turns, and the distance to the goal. Ah yes...all that distance and challenges. Every river’s goal is the ocean, the sea...every river is destined to this outcome, no matter how many turns and twists it takes to get there. You have to ask yourself, when you feel those challenges, and you feel you’re only a particle in the river of your life...are you at your best? Remember, the river is always at its source, and also at its goal, even in the chaos of the particles in the turbulence of the middle. When you stand in this turbulence of your life...can't you also be the entire river of your life? When you’re a particle, with all the challenges of twisting and turning, the journey seems long and at times perhaps impossible. But when you’re aware that you’re the entire river--you’re at the source, the presence, and the ocean all at once--this is when you realize there’s no need to be concerned in chaotic challenges...you’re destined to reach your goal...you are, in fact, already there. The path of a river is the path of life...insistence is that which keeps it progressing. It’s not the path of least resistance, but it does require persistence and consistence. The river is always changing, but it always remains the same...this was the experience of Lord Buddha. The river has been a symbol of life since life was able to contemplate symbols, for there are rivers in every body of life...the blood of your arteries, veins, and capillaries are rivers. Mother Earth is a living body of life, the waters are her blood. To care for her water is to care for her blood. 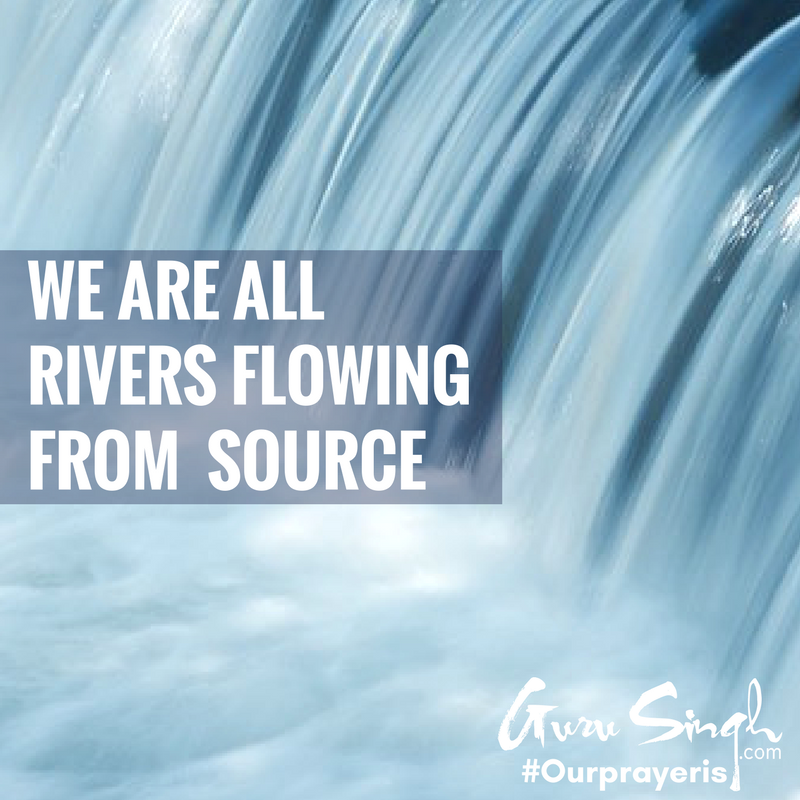 Our prayer is that you’re aware of how the river represents all life; that you’re able to see yourself as the entire river from the source to the sea, and deliver this sense of success into each breath you breathe. Share this with others to learn to live above worry and beyond concern.